I have a surprise for you! You CAN customize your compression! With something you can find easily, at just about any pharmacy or anywhere ACE™ Brand products are sold. 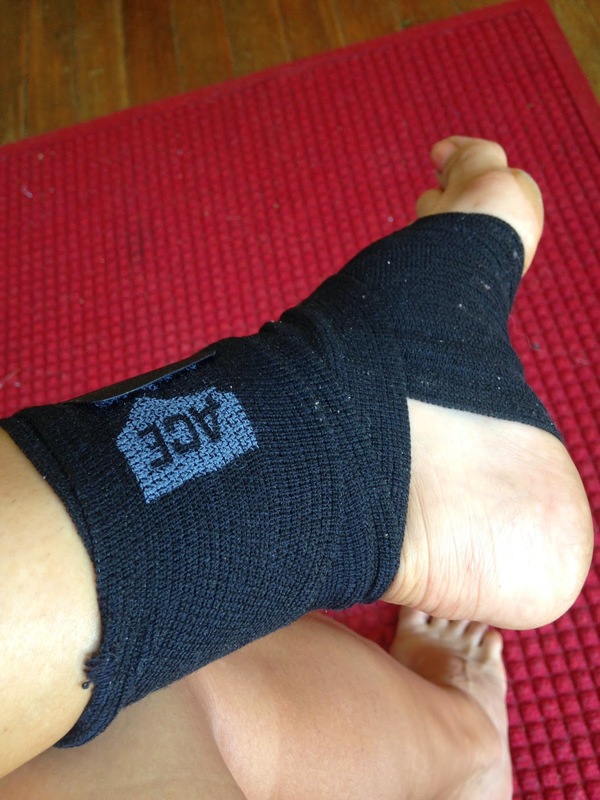 ACE™ Brand has created a new bandage called the ACE™ Brand Elastic Bandage that has a new and improved attachment system rather than the little metal clips that all snagged called the ACE Brand Clip. just push the little plastic clip up through the center and you have a clip that is going to hold! You read that correctly....you CAN wash it!!! That is crazy important with sweaty runners. I know I create quite a stink!!! now slide the bandage through the clip - see? great tight hold! I have tried some compression that is impossible to get on. I seriously hold my breath and hope nothing breaks. Now that's just craziness! But with the ACE Brand Elastic Bandage and ACE Brand Clip, I don't have to hold my breath. I can make it as tight or loose as I want. I'm not injured. BUT, once in awhile, my arch or knee will start to remind me of them. Having the ACE Brand Bandage readily available has been so nice because I can just put it on without worries of it scratching me or snagging on my clothes. The new ACE Brand Clip stays in place quite well too. No readjusting for me. It really is quite amazing. ACE Brand has a complete line of elastic compression bandages, hot and cold therapy products, and knee, ankle, elbow, wrist and back braces, wraps and supports. Video #1: We Fixed the Clip with Motivational Sportsgent, Arthur: "Unleash The Lions"
Video #2: We Fixed the Clip with Motivational Sportsgent, Arthur: "To the Sport"
Video #3: We Fixed the Clip with Motivational Sportsgent, Arthur: "Did he Mean Lost"
I also have exciting news for you!!! 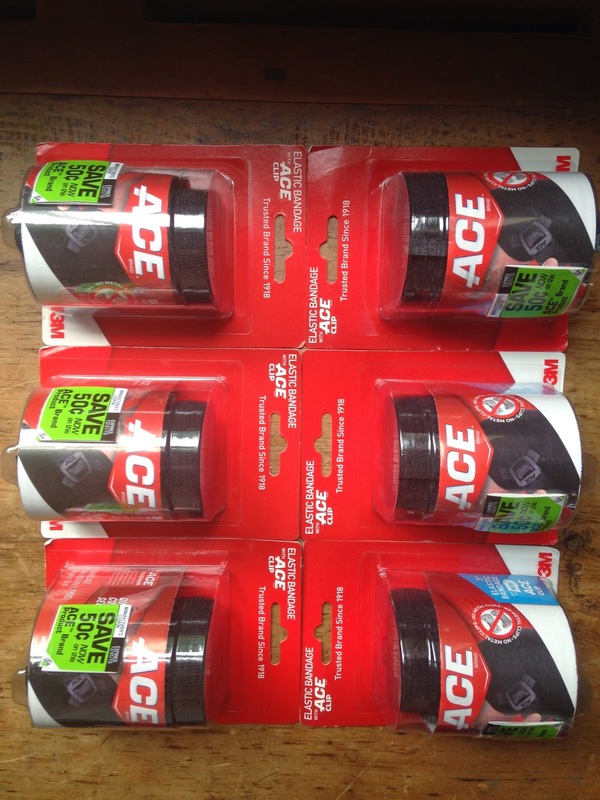 ACE Brand has offered 5 of my readers a chance to try out the brand new ACE Brand Elastic Bandage with the ACE Brand Clip for yourselves!! Please enter for your chance through the rafflecopter below. Giveaway begins today 7/9/14 and will end on 7/19/14. I will email all winners and announce on the blog. If a winner does not respond within 24 hours, a new winner will be chosen. Only open to US residents. Disclosure. I am proud to work in partnership with 3M. I was compensated for this post but was not required to give a positive review. As always, all opinions expressed on my blog are 100% my own. Oh lala! This look amazing! I have been using compression a ton lately!! I have used ace bandages eons ago - the beige kind with the metal clips that I always seemed to lose. I really like the idea of wrapping the foot for compression. My compression socks are great for calves, but not so much on the feet. I have used the old ones when I was a kid, but these new ones look great for foot, ankle, and knee compression. :) Can't wait to try them! I am still using the oldstyle with the velcro. This looks like it would work better! I have used the ones with metal clips. Those r a pain in the behind. You can never get it tight enough and it tears them and you can feel the clips. I would love to use the clip. This looks awesome. It also looks alot easier to do. Such a neat idea. So much better than those little clips. I actually haven't tried one before! Then if you win, you are in for a real treat!!!! It's actually genius! Those clips drove me crazy! I hope you win and get to use these!!! it seems to me I have been able to get these rather tight!!! I like the versatility of these! So true! Not the best for feet....but these help! Oh with these you can compress anything your gear doesn't! I have, but it has been a long time. I think we use a generic brand at work and there are no clippies just velcro. I love the clip! We are always losing those silly little metal ones. I love peach flavored iced tea! My favorite is raspberry flavored tea! I Love Green Tea with peppermint!!! Right now I am loving simple mint. Yum! The pineapple looks so good! Dying to try Teavana! My favorite iced tea flavor is regular black tea. I love the clip! Those metal things constantly fall off. I like regular black tea with lemon. i was just going to the store to get an ace bandage. i hope they have this kind in stock! black, green or white tea! Raspberry or just plain jane! I haven't tried the new one but am definitely in the market since my old-timey one has bent up, busted up clips!!! I haven't tried thr new wrap yet but I really like the clip. No more pokey clip like before! I haven't tried the ACE brand before. I like that the clip isn't sharp and really little and easy to loose.